Dato’ Andri is a founder partner of Kadir Andri & Partners. He read in the Chambers of Kadir Kassim in the then Kadir, Tan & Ramli, and thereafter served as a legal assistant until November 2000 when he was made a partner. Previous to joining the Firm he served in the Malaysian Judicial and Legal Service as Federal Counsel. Dato’ Andri currently heads the Firm’s Islamic Banking practice and is highly regarded for his expertise in banking and finance (Islamic and conventional) and corporate matters including construction projects and privatisations. He has considerable experience in structuring Islamic financing transactions and is at the forefront of developing new Islamic banking products. Dato’ Andri is a published author. He has written a chapter on “Judicial Review” for the Malaysian Court Forms and co-authored the Judicial Review handbook, both publications by the Malayan Law Journal. He has also contributed a chapter in the Malaysian Sukuk Market Handbook published by RAM Rating Services Berhad. 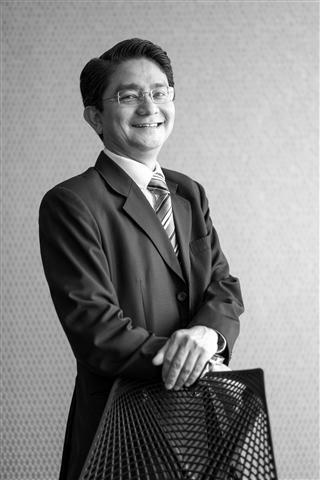 The Legal 500 Asia Pacific consistently names Dato’ Andri as a leading lawyer in his field and has described him as being “very professional with excellent knowledge in Islamic finance.” Dato’ Andri was conferred the Johan Setia Mahkota by the Yang di-Pertuan Agongin June 2011, and the Darjah Dato’ Paduka Mahkota Terengganu by the Sultan of Terengganu in December 2014.